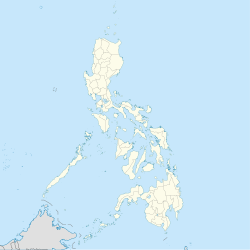 Palayan, officially the City of Palayan, is a 5th class city and capital of the province of Nueva Ecija, Philippines. According to the 2015 census, it has a population of 41,041 people,  making it as the most sparsely populated city in the Philippines. Palayan was created in 1965 by the Congress of the Philippines and one of seven planned cities in the Philippines (the other six are Manila, Baguio, Quezon City, Trece Martires, Koronadal and the Island Garden City of Samal). The new provincial capitol of Nueva Ecija is located here. Palayan is politically subdivided into 19 barangays. On March 25, 1952, leader of Nueva Ecija composed of then Governor Leopoldo Diaz, Congressman Jesus Ilagan, and Board Members Dioscoro de Leon and Antonio Corpuz, Don Felipe Buencamino and all Mayors of Nueva Ecija called a special consultation meeting in Manila to discuss and consider the transfer of the capital of Nueva Ecija from Cabanatuan to other municipality. Several locations and proposals were suggested, specifically Gapan, San Jose, Santa Rosa, Guimba, Talavera, General Tinio, Baloc (present-day Santo Domingo), Muñoz and Government Stock Farm within Laur and Bongabon. After hours of lengthy and conscientious deliberation, it was unanimously agreed that the Government Stock Farm be made as the capitol site. In 1955, President Ramon Magsaysay declared the portion of the territorial area of the Government Stock Farm as open for settlement as NG-130 pursuant to presidential Proclamation No. 237. On June 19, 1965, the Congress of the Philippines enacted RA 4475 creating Palayan City as the new capital of Nueva Ecija. While the stock farm is not virtually rice land, ”Palayan” was chosen as its name, the province being dubbed as the Rice Granary of the region and the country. Finally, the city government of Palayan was constituted December 5, 1965 with then Governor Eduardo L. Joson as its Ex-Officio Mayor while the Board Members Constituted its first City Council. Meanwhile, Iglesia ni Cristo, under the Administration, bought a large tract of land near Laur and encompasses Palayan City to shelter affected INC members working in Hacienda Luisita which was evicted and voluntarily left the Hacienda in order to prevent bloodshed and violence due to their disbandment on the union. On August 1969, the city was enlarged by virtue of RA 6052 authored by then Congressman Angel Concepcion which provided for the inclusion of the Military Reservation in Laur and Fort Magsaysay Cantonment area within the municipality of Sta. Rosa. Elpidio O. Cucio was then appointed Mayor with Felipe Bautista as the Vice Mayor. In the subsequent local election, they were elected as first elective local officials including Councilors Flor Agustin, Tranquilino dela Cruz, Antonio Pascual, Federico Dacanay, Luis Lacalle and Thomas Lumawig. The year 1969 also placed Palayan City in the map of national and international scene when it hosted the National Jamboree attended by thousand scouts and even foreign scouts from other countries. In 1972, by virtue of proclamation No. 893, portion of the Government Stock Farm was allocated for the displaced population of Pantabangan because of the construction of the dam. The resettlement site was eventually converted into regular barangay known as Marcos Village. In 1983, the training ground of the Philippine Army was transferred to Fort Magsaysay from Fort Bonifacio in Metro Manila. This paved the way for the development of the reservation area into a training complex to serve the army’s training requirements. During the historical EDSA Revolution on February 1986, nationwide overhaul of government leaderships from national to local took place. Don Pacifico M. Fajardo was appointed Officer-In-Charge together with Flor Agustin as OIC Vice Mayor by then President Corazon C. Aquino. Then his brother Engr. Virgilio Fajardo also assumed as OIC. Then prior to 1987 election, Vice Mayor Felipe Bautista took office as OIC with councilor Aquiles Salcedo, Sr. as OIC Vice Mayor and on that election, Pacifico M.Fajardo and mabini Ancheta won the mayoralty and vice mayoralty race respectively. Palayan is also the birthplace of the Asianwide Green Scouts Movement in 1993 when the first RP-Japan Bilatateral Ecology Work Camp was held in the city that eventually led to the establishment of project: Kawayang Buhay and Asian Ecology Forest being supported by the Asian Friendship Society. On 1995, two more barangays were added to Palayan City from 18 to 20. Barangays Popolon formerly of Bongabon was annexed by virtue of RA No. 8030 and approval of the people in a plebiscite on October 1, 1995. Then Bagong Buhay, one of the three resettlement areas was converted to a regular barangay during a plebiscite on November 26, 1995. In 2002, the construction of the new capitol in Palayan City was completed. The Provincial Museum of Nueva Ecija is located in the new capitol building. A technology-business park was planned but progress about the plan has not been updated for at least 3 years. Roman Catholicism comprise the majority of religious affiliation in Palayan City. Iglesia ni Cristo, on the other hand, have 9 Local Congregations or Places of Worship in Palayan City alone including the INC Resettlement Areas in two Barangays namely Barrio Maligaya and Bagong Buhay where all of the residents are members of this religious organization. Barrio Maligaya is the resettlement area where INC workers from Hacienda Luisita settled. Bagong Buhay is the resettlement area for victims of Mount Pinatubo's eruption. Islam comprises about 3% of the population. ^ "Province: Nueva Ecija". PSGC Interactive. Quezon City, Philippines: Philippine Statistics Authority. Retrieved 12 November 2016. ^ a b c Census of Population (2015). "Region III (Central Luzon)". Total Population by Province, City, Municipality and Barangay. PSA. Retrieved 20 June 2016. ^ Census of Population and Housing (2010). "Region III (Central Luzon)". Total Population by Province, City, Municipality and Barangay. NSO. Retrieved 29 June 2016. ^ "Province of Nueva Ecija". Municipality Population Data. Local Water Utilities Administration Research Division. Retrieved 17 December 2016. Wikivoyage has a travel guide for Palayan. Wikimedia Commons has media related to Palayan City.